In a bid to strengthen the country's defence capacity, India plans to sign big-ticket defence deals with its traditional and strategic partner Russia during the upcoming annual summit between Russian President Vladimir Putin and Prime Minister Narendra Modi next week in Goa on October 15-16. It is expected that some of the most important defence deals may get green signal during the meet. These include the purchase of 5 S-400 'Triumf' long-range air defence missile systems apart from Kamov-28 helicopters and up-gradation of the Sukhoi 30-MKIs. Two other projects which could also be finalized are the joint production of Kamov-226 light choppers and the long pending joint development of the fifth generation fighter aircraft. On September 23, India signed a 7.8 billion Euro deal with France to acquire 36 Rafale fighter jets. And with the addition of these 36 lethal flying machines, the Indian Air Force has re-established its stance as the fourth largest Air Force in the world. The jet comes with RBE2 AA active electronic scanning array (AESA) radar that has a target detection range of at least 130 kilometres which will also be able to track specific enemy entities. Rafale has an unprecedented range of 100 kilometres as compared to Pakistan's current capability of 80km. This missile can be used to shoot down enemy air crafts and cruise missiles. The Rafale jet is capable of reaching speeds as high as 2000km per hour which can even outrun most missiles. The jet is made with composite materials which gives it greater agility and high manoeuvrability. The features that make the Rafale a strategic weapon in the hands of IAF is its Beyond Visual Range (BVR) Meteor air-to-air missile with a range in excess of 150 km. With the induction of the Rafale jets, IAF can hit any targets inside both Pakistan and across the northern and eastern borders while staying within India's territorial boundary. The new advanced Russian S-400 Triumf missile system is the most modern, air defence system in the Russian arsenal. Its long-range radars can track hundreds of targets simultaneously and can shoot down even stealth fighters like American F-35 jets. Russian S-400 Triumf missile systems are capable of destroying incoming hostile aircraft, missiles and even drones within a range of up to 400 km. The S400 Triumf is designed to knock down flying targets including those equipped with stealth technologies, at a distance of about 400 kms. It is also capable of taking out ballistic missiles and hyper-sonic targets. 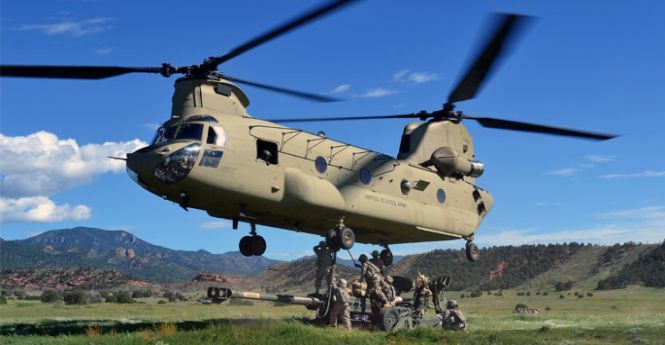 Last year, India signed a nearly $3 billion deal for purchase of 22 Apache attack helicopters and 15 Chinook heavy-lift choppers with American aviation giant Boeing and the US government. India has purchased the latest Block III configuration version which the US first got in 2011. 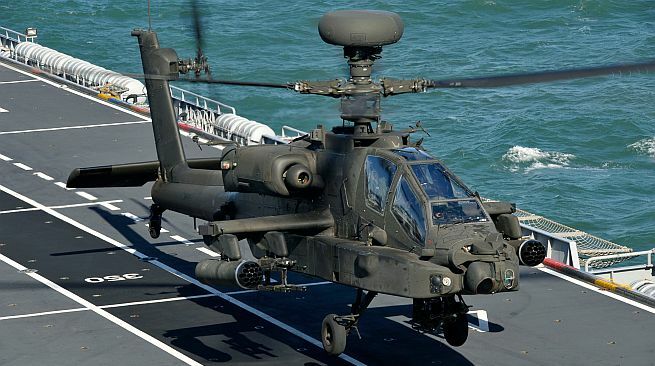 Apache Longbow helicopters are one of the most advanced multi-role combat helicopters, featuring all-weather and night-fighting features, ability to track upto 128 targets in less than a minute. The Apache will be the first pure attack helicopter in India's possession and it's a significant move as the Russian origin Mi 35 which has been in the operation for years are now on the verge of retirement. The stealthy chopper is quipped with laser and infrared systems for a weather, day-night operations. It can also fire the Hellfire missiles, besides its arsenal of 70 mm rockets and an automatic cannon. Apart from this India has also bought 15 Chinook heavy-lift choppers which can carry 9.6 tons of cargo, including heavy machinery, artillery guns and even light armoured vehicles to high altitude. Its primary roles are troop movement, artillery placement and battlefield resupply. The Chinooks will be used for heli-lifting of heavy military equipment, including special artillery guns and supplies, to inhospitable areas of the North-East. India is trying to expedite a deal with the United States to buy Predator drone aircraft for military surveillance. The General Atomics MQ-1 Predator is an American unmanned aerial vehicle (UAV) built by General Atomics and used primarily by the United States Air Force (USAF) and Central Intelligence Agency (CIA). Initially conceived in the early 1990s for aerial reconnaissance and forward observation roles, the Predator carries cameras and other sensors but has been modified and upgraded to carry and fire two AGM-114 Hellfire missiles or other munitions. With Pakistan on the west and the ever expanding China showing its might in the sea areas close to Indian coastline, the Indian Navy has an extremely important task of protecting the country. India is trying to equip the military with Predator drone to gather intelligence as well as boost its firepower along the borders with its immediate neighbours Pakistan and China. It also wants to protect Indian Ocean from any external aggression. State-run aircraft maker Hindustan Aeronautics Limited's Light Combat Helicopter (LCH) has been under development for some years. However, a series of recent performance trials have paved way for finalization of basic configuration. Earlier, Defence Minister Manohar Parrikar visited HAL's helicopter complex to have a detailed look on advanced features and armament fit of LCH prototypes. As per HAL claim the Light Combat Helicopter is designed to carry out dedicated combat roles such as Air Defence, anti-tank, scout, support combat search and rescue operations. It also incorporates a number of stealth features such as reduced visual, aural, radar and infra-red signatures and crash-worthy landing gear, armour protection for better survival.